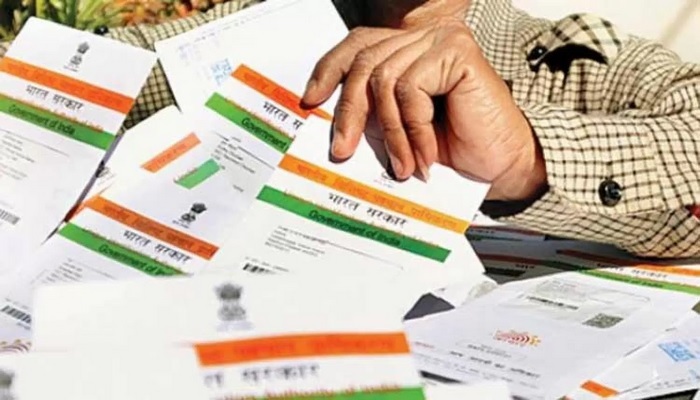 Aadhaar was conceptualized as a convenient and secure identification measure for India’s citizens, but numerous leaks, security breaches, and legal cases have mired it in a cloud of controversy. However, amidst all the conundrum and people growing wary of their Aadhaar data security, a senior McAfee executive has lent his support to the government and has assured that Aadhaar’s security is fairly solid. In an interview with BGR India, McAfee’s Head of Channel Sales and Alliances for the Asia Pacific region, Jagadish Mahapatra was quizzed about the whole security scare around the safety of Aadhaar data. The McAfee executive responded with an aura of assurance and stated that the biometric identification system’s security is fairly solid. I think Aadhaar’s security is fairly solid. The worry about Aadhaar data is that it is floating around in different agencies. But I think what the government has done with Virtual ID and facial recognition is commendable. These are very strong layers of security. But his response was a mixed bag of assurance and scare. How? Well, despite UIDAI’s claims of the Aadhaar database’s security being rock solid and impenetrable, the same can not be said about other government agencies. And let alone security, numerous government websites themselves have listed the Aadhaar details of beneficiaries openly for anyone to see multiple times in the past. The McAfee executive proceeded to applaud the government’s move to bring the virtual ID and facial recognition-based identification technology to the mainstream, and urged the users to make full use of the facilities. Our users must make sure that they use those password options as well as facial recognition option, whenever that is available. Using these will keep us more secured. He also doled out some suggestions and advised users to furnish their Aadhaar data only when it is absolutely necessary, and fully utilize the newly introduced layers of security provided to them while sharing Aadhaar details. Keep that Aadhaar details hidden as much as possible. I feel if users are just conscious of it, then one can avoid all the data leakage.